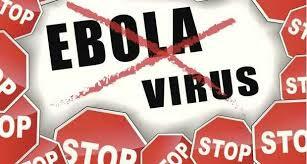 Four Ways to Kill the Ebola Virus and Other Viruses Too! Its germ season and with the growing concerns over Ebola spreading within the United States I thought it might be wise to discuss PREVENTION verses what to do ‘if’ as prevention is obviously our first line of defense. Soap and hot water are our obvious first bet as always. Several times a day. But I know and understand that this isn’t always possible so alternatives to keeping our hands as germ free as possible are next in line. I will speak directly to viruses (and this includes Ebola) as not all alternatives are good for bacterial disinfection. According to the MSDS and The Canadian Centers for Disease Control there are basically 4 ways to kill ‘enveloped’ viruses such as the flu, ebola and many ‘stomach bugs’ that are emerging right now. Phenolic compounds which are found in many of our everyday items we use such as: They can be toxic at certain levels, though hospitals still use phenolic compounds to clean floors, bed railings and tables. You will know you have a sanitizing phenolic compound if you see the ‘phenol’ in any part of the ingredients. A few that I found were: ortho-phenylphenol, ortho-benzyl-para-chlorophenol, ortho-phenylphenol, para-tertiary-amylpheno. Typically phenolic sanitizers will need to be left to dry for at least 10 minutes (typical time to work to ‘inactive’ a virus) Do NOT get on the skin or inhale the vapors (such as in air ‘sanitizers’). You should also not use these products containing phenolic compounds around babies or young children nor on surfaces where food may touch. Ethyl or Isopropal alcohols. These are found in hand sanitizers and common rubbing alcohol…but here is the catch. NOT ALL hand sanitizers have their main ingredient as ethyl alcohol. Remember the big scare about children eating hand sanitizer and getting sick? Some of the more popular brands changed their formulations and do NOT have ethyl alcohol as its active ingredient. So be sure you look at the ingredient list on the hand sanitizer you buy and make SURE it says Ethyl alcohol. And it must be at least 62% but no more than 70%. As for rubbing alcohol, you can use this on surfaces, your hands or body. But here is the catch: it has to be 60 to 70 percent isopropyl alcohol. If any higher it will not as effective. Science has shown that to kill enveloped viruses such as Ebola, MRSA, and Influenza you must have water to penetrate the virus. They love water! So, the more water the rubbing alcohol is diluted in the better the kill rate. Optimal is 60-70 percent of isopropyl rubbing alcohol. Do NOT ingest any of type of ethyl or rubbing alcohol. Next, and most prolific in disinfectants and used in hospitals are the Ammonium Chlorides. Look for cleaning, disinfecting/sanitizing products with the words ammonium chloride in the ingredients as these will kill any enveloped virus…ebola, flu, HIV, etc. It can be found in sanitizing wipes, many surface cleaners and in fact, is the main chemical used by hair stylists for disinfecting there clippers and scissors. Goes by the brand name Hydrocide which is readily available to the public. Clorox wipes contain ammonium chloride. NOTE OF CAUTION. If you are going to use a product with ammonium chloride you allow to air dry. Do not wipe dry. Also, if you will be using on surfaces where you cook, after allowing to air dry it is advised to use plain water to wipe afterwards (10 to 15 minutes after using product) so that you do not eat this as it can build up in the body and cause a toxic reaction. Same goes for the aerosolized versions you find in disinfectant sprays…don’t breath it in. Bleach is next on killing all sorts of viruses and bacteria and is a traditional stand by. However, I would not use on the skin as allergic reactions can occur and contact dermatitis can occur over repeated exposure to bleach. A 10% solution will work for hard, non-porous surfaces. Do NOT use on rubber as over time it will break it down. Finally, we come to good old fashioned vinegar. According to the MSDS vinegar even at 3% dilution will kill ebola, influenza and many other enveloped viruses. Yes, that is SCIENCE. Often times you will see vinegar in homemade cleaning solutions. But personally I would just use it straight and it is safe for SKIN too! As a note: you may also use a 50/50 combination of hydrogen peroxide and vinegar for cleaning hard surfaces as a disinfectant. This also has been shown to kill many viruses including ebola. Stay safe, be prepared and get the knowledge to be panic free! The authors and editors of SurvivalMedicineBlog offer only our personal advice and opinion on how to help yourself when you cannot get professional medical care or if you prefer to help yourself. We accept no responsiblity for the use or misuse of the information and opinions contained within this blog. Use your own discretion and judgement and when in doubt, always seek professional medical advice and help when and if at all possible. We are for the most part not trained professional medical doctors or nurses, but offer our opinions in our respective fields of self-care and management and nothing contained here in should be construed as professional medical advice. We do however recognize that it is not always possible to get professional medical care and it is because of this that we offer this blog and the opinions here in can be backed up by the appropriate references of professionals.